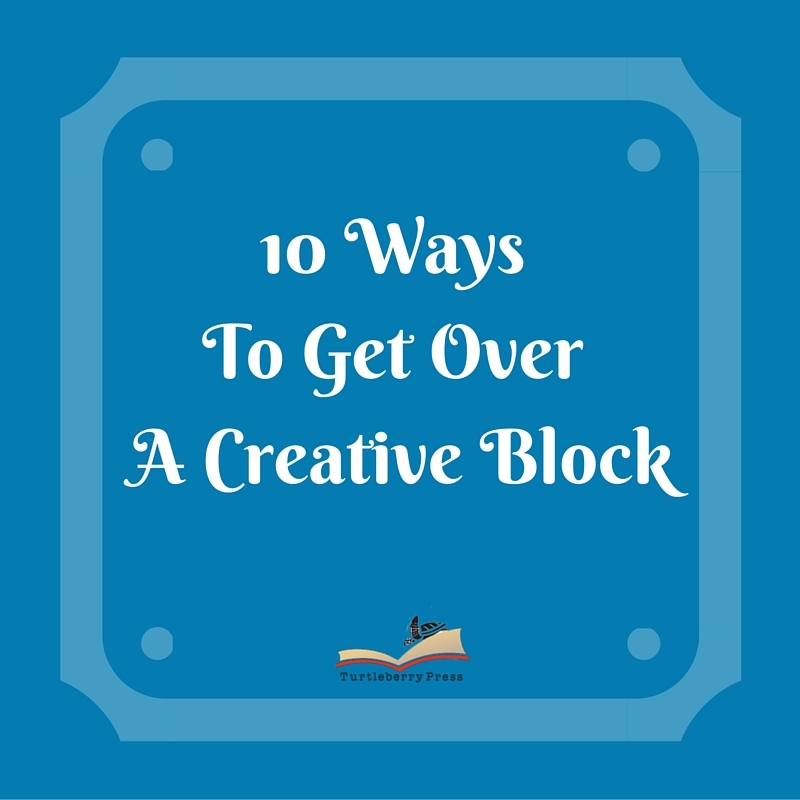 Everyone experiences a creative block at some point. They can be frustrating and sometimes seem impossible to overcome. Here are a few things to try to help you get over that block and get back to creating! Write about it. Create an image of your block. Sometimes you just need to release whatever is clogging you up. Write about what is keeping you from writing. Create a picture of your block. Hopefully it will allow those creative juices to flow where you need them too. Perhaps the time that used to be so perfect for you to create is no longer working for you. Maybe working with the television on or the computer nearby is now a distraction. Switch your routine up a bit. Use a pencil instead of a pen. Drink iced coffee instead of hot coffee. Take a walk before you create instead of after. Never hurts to try. It could be exactly what you need. Have you ever seen something or read something and could begin to list all the things “wrong” with it? Take that project and fix it the way you would have done it. Use your gut reaction to the piece. That may get your creative juices flowing on your own projects. Don’t let fear block your creativity. Let go of your fears. Nothing has to be perfect. You can always edit and make adjustments later. You don’t have to share all your creativity with everyone or anyone but yourself. Whatever your fear is it needs to be locked in a closet or tied to a chair. You have to push past your fears and step out of your comfort zone if you want to have free-flowing creativity. Go out and experience what other creatives are doing. Read a book. Watch a movie. Go check out some art. Listen to new music. Allow yourself to absorb the creative vibes. Then go and see what you can create afterwards. Don’t try to copy what you saw, heard, or read. Simply let the creative vibes move you to create. What did that creativity inspire you to create? Take some quiet time to clear your mind. If you can’t clear your mind fully, do your best to focus on one thing. It doesn’t have to be related to your creativity. Focus on an image or a thing. Allow yourself to get rid of the clutter in your mind that may be contributing to your creative block. You may want to try to meditate for a short period of time before each creative session. See how that helps. If you are a writer maybe you should try drawing. If you are a visual artist you could try writing. If you write music give poetry a shot. Take photographs. Try to create in a different format. Take a class. Watch a YouTube video. Learn a new way to express your creativity. You may not be the greatest at it but you are being creative and it can be an outlet until you get back into the swing of things with your primary form of creativity. It will be fun. You may just need to experience the energy that is in the air when several creative minds get together. You don’t have to be actively creating. You all could just be drinking coffee or having a glass of wine. Creativity is still in the air. Absorb the feelings. Enjoy yourself. Try to do it on a regular basis. See how it affects you. Sometimes you have to go back to the beginning. Use prompts. Use exercises. Paint a still life picture. Getting back to the basics of your craft can sometimes give you the boost you need. You could be overthinking things. Embrace simplicity for a little while. Use prompts that spell things out for you. The exercise may do you some good. Sometimes you just have to put it down and walk away. Living life is sometimes the greatest way to boost your creativity. Experience may be the best thing to help you climb over the creative block. You may just be trying too hard. Go out and live other aspects of your life. Then come back to it.